Preparation: In a large bowl mash the bananas really well and add powdered sugar and mix well. 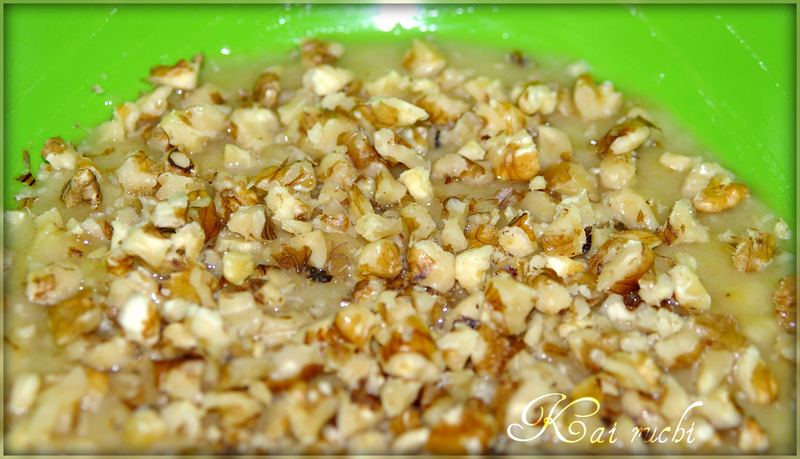 Add olive oil and walnut, mix until it has incorporated well into the mixture. Sieve all purpose flour along with baking soda. Divide the flour into 3 to 4 batches and add each batch of flour to the mixture slowly and mix. Make sure to have mixed the flour in one direction to avoid uneven mixing. 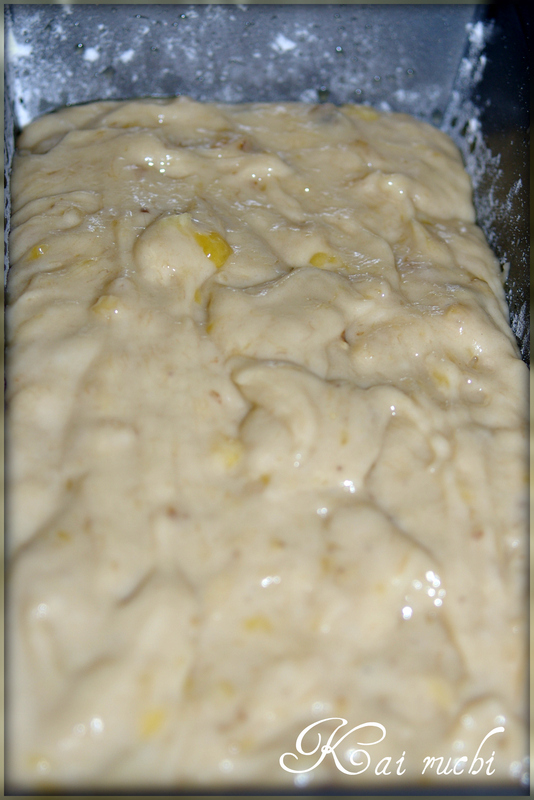 Grease and flour the baking pan (I used 9 inch loaf pan) and add the mixture evenly. Preheat oven to 350°F and bake the bread for 30 to 35 minutes or until a toothpick comes clear when inserted in the center. Cool it for 5-10 minutes, Make sure the edges of the bread are clear from the pan (Insert a blunt knife and make it clear, making sure not to touch the base of the pan) before inverting. Do not keep the bread out for too long as it might loose its softness. Linking this post to Fruit Fiesta. This looks nice & grainy :)..this combo is always a winner! This looks really delicious! Great photos! Food look so so good and yummy! This looks really tasty n yummy..vl try this surely……. Looks wonderful! I do love banana bread. 🙂 Thanks for visiting my blog. Awesome, and such nice color too.. Perfect texture and looks fabulous! 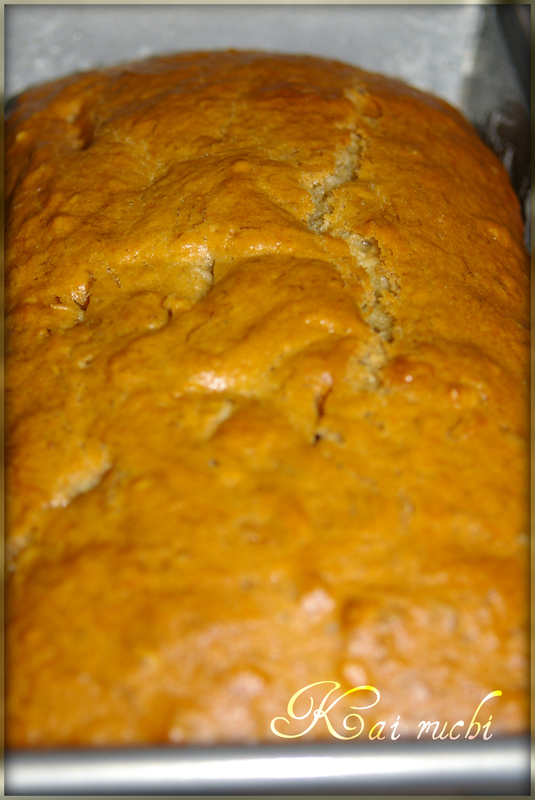 Banana and walnut bread is on my to-do list. You have baked it to perfection. It has got the perfect colour and looks so delish! 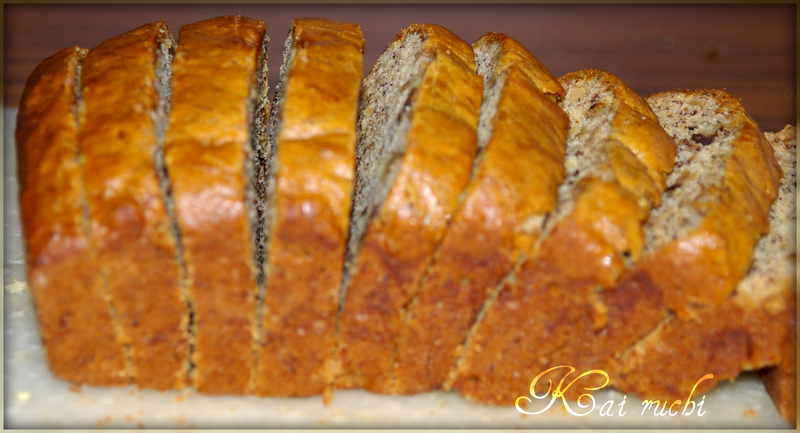 Looks like perfect banana bread…one of my favorites! Delicious bread! It’s one of my favorites and so perfect with a hot cup of “chai”. Sound delicious,and looks moist and YummY !! I wanted to try this as well 🙂 Looks perfectly baked ! 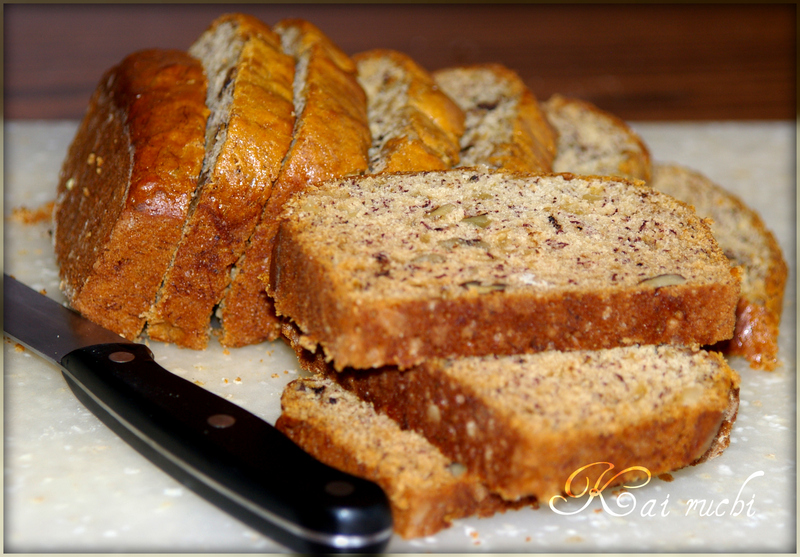 Looks perfectly sliced bread ,never tried adding walnuts..yummy!! Thanx for dropping by my space n ur comments..
We have been on the same wavelength lately. Me with my banana muffins and you with your banana bread. Looks wonderful. Thank you for your appreciation and nice comments! 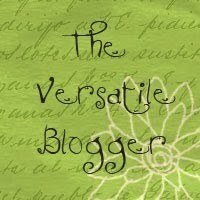 Hi Deepti…stumbled upon your blog today love it. Regarding the banana bread recipe, can i replace olive oil with butter? if so by how much ? I have never tried baking it with butter, so I don’t think I can help you with it. Instead of olive oil we can use vegetable oil. Same measurement as of oilve oil can be used. Let me know if you bake it.